Malcolm Jack Blight AM (born 16 February 1950) is a former Australian rules footballer who played for the Woodville Football Club in the South Australian National Football League and the North Melbourne Football Club in the Victorian Football League during the 1970s and 1980s. He also coached at North Melbourne, Geelong, Adelaide (with whom he won two Premierships – in 1997 and 1998) and St. Kilda. Blight was inducted into the Australian Football Hall of Fame in 1996. In 1968 Malcolm Blight began his football career at the Woodville Football Club in the South Australian National Football League (SANFL). 1972 was a stellar year for Malcolm as he won the best and fairest for Woodville and also won the Magarey Medal as the best and fairest player in the league, South Australian football’s highest individual honour. In 1974 Malcolm was recruited by the North Melbourne Football Club in the Victorian Football League and played 178 games for them until 1982. He was a major part of the sides that won the premiership in 1975 and 1977. In 1978 Malcolm won the best and fairest for the kangaroos as well as winning the Brownlow Medal, best and fairest in the VFL. He was leading goal kicker 4 times for the kangaroos and in 1982 he won the Coleman Medal for the leagues highest goal kicker. He was one of the superstars of his era. Well known for taking spectacular marks on a regular basis and kicking bags of goals. He is fondly remembered by over 150,000 spectators, who claim to have been at Princes Park in 1976, for kicking an 80 metre screw punt through the centre of the goal posts to beat Carlton after the siren! It is not unusual to hear some state as fact that it traveled 100 metres! After his success on the park Malcolm continued his success in the coaches’ box. He is remembered by many not just for his outstanding record but also for his occasional unorthodox coaching methods. He began as a coach at North Melbourne as a playing coach. He then moved to Woodville where he guided the club in 1987 to a preliminary final to make it the most successful year in the club’s history. In 1989 Malcolm became coach of the Geelong Football Club. Between ’89 and ’94 Geelong played in 3 grand finals, yet never won! The ’89 grand final against Hawthorn is widely regarded as the greatest grand final ever played. From a total of 145 games his Geelong team won 89. 1997 saw Malcolm return to his home state of South Australia to coach the Adelaide Crows. He caused a stir from the beginning by sacking four club stalwarts before a ball was bounced. Whilst he received quite a lot of criticism for the sackings, he took the crows to consecutive premierships in ’97 and ’98. He retired from the Adelaide Football Club in ’99. Malcolm had a short stint coaching St Kilda in 2001 but that ended after just 15 rounds. 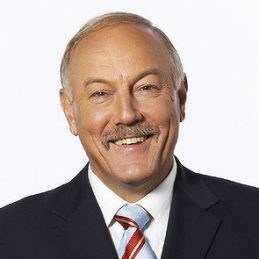 Malcolm Blight is one of the true legends of Australian Rules, an entertainer, innovator, superstar and a fantastic draw at at football or corporate event.